Merck Sharp & Dohme (MSD) has relaunched the UK version of its healthcare professional website Univadis. The new site adds a medical app library that allows users to personalise the portal, choosing from specialist disease information and clinical interests for more than 50 specialties. Deepak Khanna, MSD's managing director, said: "Since the release of The Merck Manual more than 100 years ago, MSD has been committed to supporting doctors and healthcare professionals by providing non-promotional health information. Set up in 2001, Univadis.co.uk is free for healthcare professionals (HCPs) to access and includes content from leading medical journals such as The Lancet and the British Medical Journal. 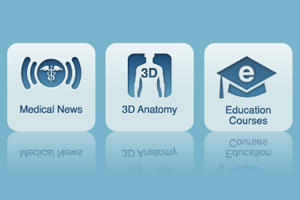 The site's new range of medical applications offers access to medical news, accredited education courses, disease information and point-of-care tools. Editor in Chief of Univadis in the UK, Dr Harry Brown says: “For all healthcare professionals, medical education is a vital aspect of ensuring the best patient care possible. MSD is also hoping to carve out a niche for Univadis as a point-of-care tool for use during patient consultations, and the site now includes a bank more than 58,000 medical images and wide-ranging disease information the company hopes will “help inform patient-doctor conversations”. In addition to its uses for healthcare professionals, MSD's parent company Merck & Co has talked in the past about how important the site is for its future, with increasing levels of trust with HCPs one of its key aims.